Of course there are so many social networking sites vying for the coveted number 1 spot. Do you still remember Friendster? I wonder if it still has any friends. Contrary to popular beliefs, the eventual champion(s) in the social networking arena has yet to emerged. 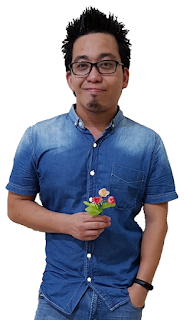 The ability of Twitter and Facebook to attract new users at such a dumbfounding pace allows both of them to dominate the social networking landscape. So which one will you tip to win this social war? 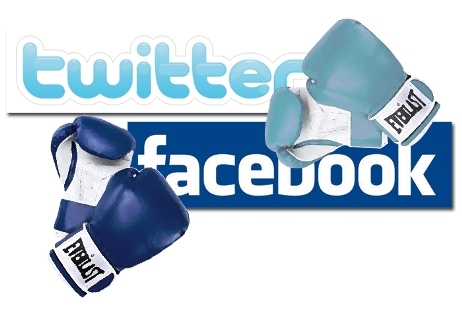 Twitter VS Facebook = Google VS Yahoo! People has likened Twitter to Google for its clean and simplicity. Likewise Facebook is reminiscent to Yahoo! for its portal-like feel. So what makes Facebook has so much fans in such a short period of time? Facebook has mass appeal because it allows people to reestablish connection with their old friends, schoolmates, relatives and even family members; not to mention meeting new friends in the cyberspace. Facebook is like a combination of email, instant messaging, Flikr and Youtube. On the other hand, it is harder to jump onto the Twitter's bandwagon. Do you think Facebook can really kill all the Twitty birds? Most of us will know how to use Facebook almost instantly. While Facebook "shackles" you and make you stranded in its site, Twitter offers a different experience. Twitter only allows you to share your thought or whatever in only 140 characters of less. Twitter makes it possible for you to share your ideas or what you are doing immediately without much hassle. 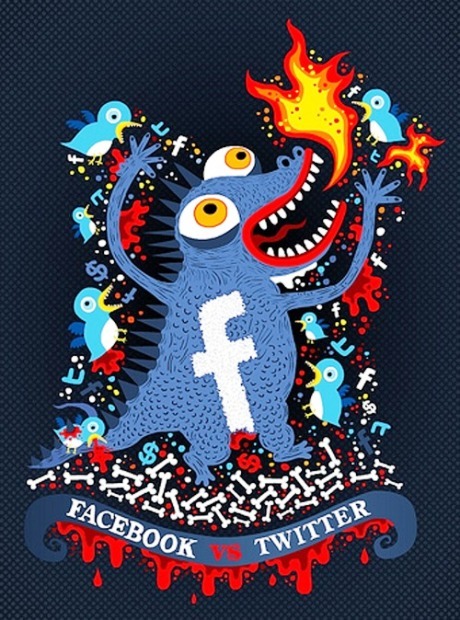 So what do you think about Facebook and Twitter? If you were given a choice, which will you pick? Thanks for casting your votes folks. I can't say which is better than the other. Both Twitter and Facebook have their very own pros and cons. Personally I love twitter because I will get reaction more faster compared to Facebook. That is, of course my own personal experience. How about yours? Please share why your prefer one of them (Facebook or Twitter) by telling us the reasons in your comment. Let us listen to you choice of Social networking!